How to find out password from your Wi-Fi? Typical Wi-Fi user doesn’t remember password of his network. Once connecting laptop, user forget his password. It is easier to remember your password if you oftentimes connect different devices to your network. But what you should do if you forget password from your wireless network or maybe someone has changed it in the past without reminding you? You can go to the settings of router, where you can change it. More detail information you can find here. If you have personal computer with Windows 7 , 8 or 10 operating system, you can get password from your network faster. Let’s talk about this method. 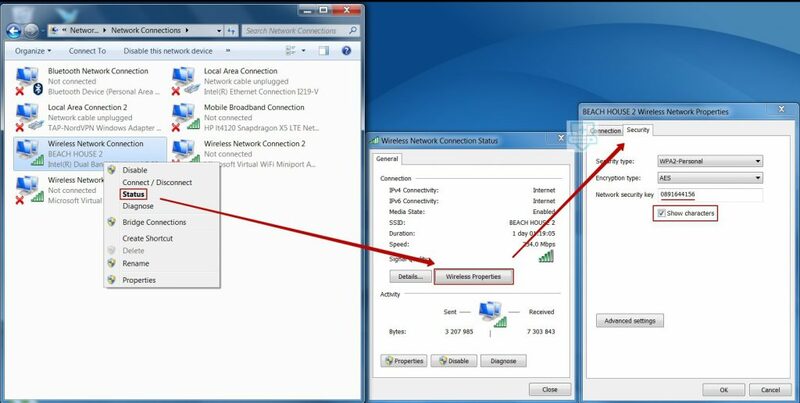 If you are user of Windows 7 and you don’t know password of your wireless network, you should enter in “Network and Sharing center” section of your computer. To do it, you just need to right click on network icon in right-bottom part of the screen. Here will appear context menu, where you should choose “Network and Sharing center”. Find “Wireless Network Management” section in left part of the screen. Left click on this section. Here will be a list of wireless networks. Choose necessary network and click on it twice by left mouse button. “Wireless Network Properties” will be opened after that. Note: If you have Service Pack 1, you would solve with problem of missing “Wireless Network Management”, so you should do another actions. 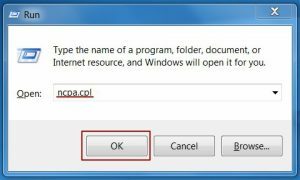 Just enter in “Network Connections” using Win+R key combination and entering here ncpa.cpl command. Press OK button to get in “Network Connections”. Choose wireless connection and click on it by right mouse button. Here will be “Status”. After getting in it, click on “Wireless properties”. In opened window you just need to open “Security” tab and put tick on “Display input characters”. In “Security Key” field you could see password from your wireless network. Finding out password on Windows 8/10 is easier. Just move your cursor to upper right corner of your screen. Here will be menu with “Settings” section. Select it. In the lower right corner of the screen we find the icon “Network”. Click on it. Here will be list of wireless networks. Choose network, to which you are connected now, and right click on it. If you have Windows 8 tablet, just press on network and hold a few seconds. Wireless network menu will be opened. Select “View connection properties” section. Here will be opened menu the same as on Windows 7. Open “Security” and then “Security Key”. Put tick on “Display input characters”. Here will be your wireless network password.